Some say she is Lemeza's wife's daughter from a previous marriage, while others believe she's Professor Shawn's illegitimate child. Either way, she is a Kosugi; that much is clear. 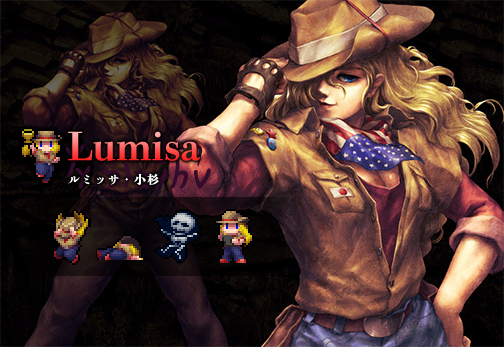 She travels to La-Mulana to make her archaeological debut after accepting Xelpud's request to search the ruins. 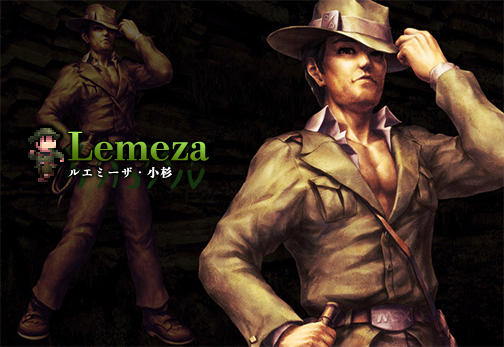 Tales of his exploits in the ruins of La-Mulana may be known worldwide, but he was also responsible for the ruins' destruction, and has gone into hiding as a result. His love of exploration has not faded, however, and he still finds time to go spelunking in secret. After revealing the "Treasure of All Life" he brought back from the ruins of La-Mulana, he returned to a hermetic life once more. Although he technically retired after finishing his research on the "Cradle of All Civilization", he finds himself slowly drawn back into the world of archaeology. Upon the collapse of the La-Mulana ruins, his life as a 7th Child came to an end. 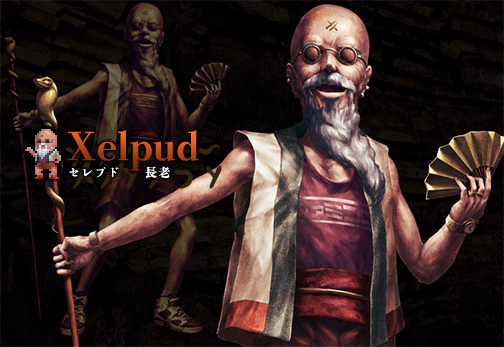 He's been spending his time running the "La-Mulana Ruins Tourist Spot" in hopes of finding purpose in life once again. As a result, he's become quite wealthy, and now lives a life of luxury full of beautiful women and fast cars. 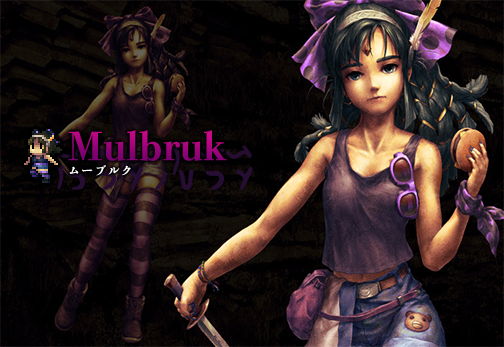 Since her release from the ruins, Mulbruk has been happily living aboveground, pretending to be a "normal" young woman. Using her amazing knowledge of history, she has become a treasure hunter. She's also become quite fashionable. © 2009 - ASTERIZM CO., LTD. / Game Production Division NIGORO All Rights Reserved.